With error notifications, you can always be in the know if messages aren't being sent. Sometimes, Donut may encounter an issue that prevents a message from being sent to someone within your organization. 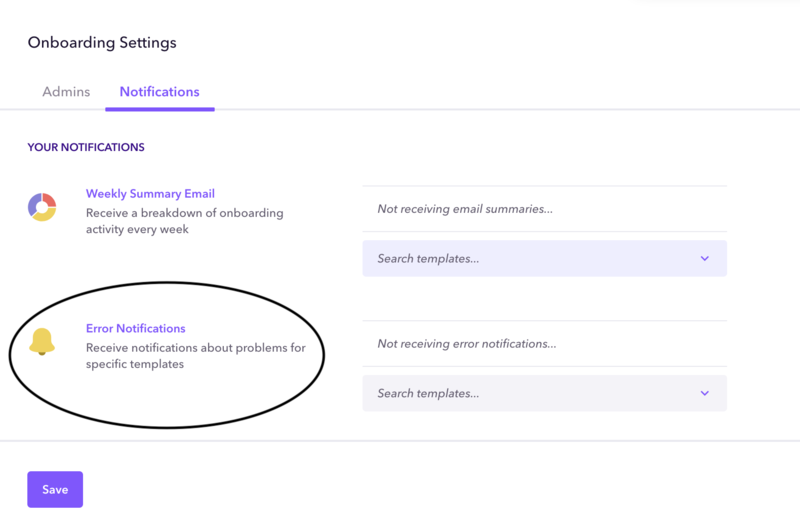 As an admin, you can select which templates you would like to be notified about when errors occur so you never miss a beat. Click Settings in the left navigation to view your Onboarding Settings. Click the Search Templates field to select which templates you'd like to receive notifications about. Once you've selected all the templates you want to be notified about when there are errors, click Save.